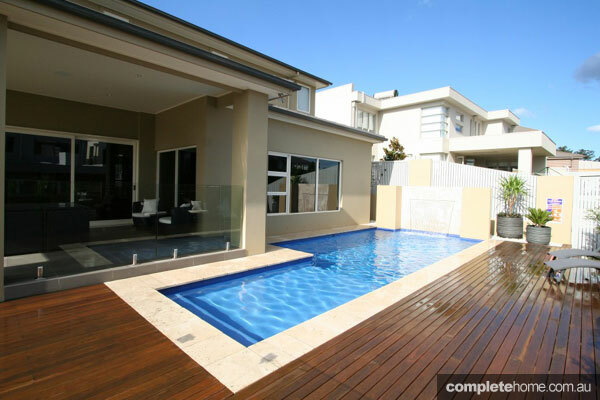 The finished structure consists of a beautiful front-yard pool and spa, situated next to the existing carport. 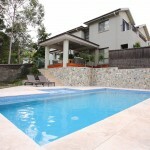 It provides a focal point for guests arriving at the property and serves the needs of the family. 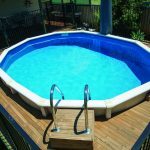 The design of the pool and spa area was meticulously developed by the owner, with the aim of producing something that could be used by his daughter, who has disabilities. 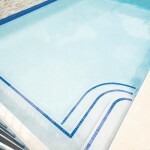 The layout of the entire pool and especially its step entrance had to be planned and carefully thought out. 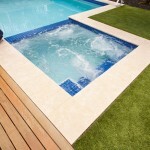 When finished, the client took his design to the people at Jade Pools, who agreed to take on the production of the pool. 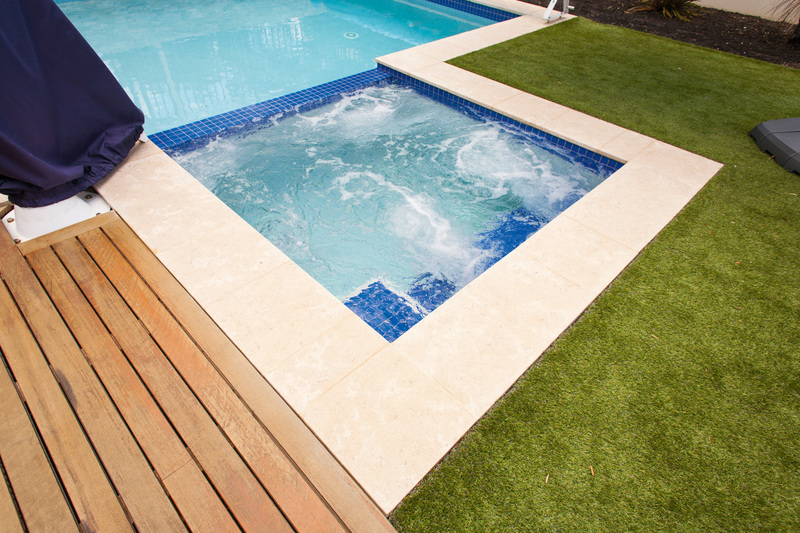 After discussing the plans with the owner, Jade Pools provided 3D design concepts to help visualise how the pool and spa would look. 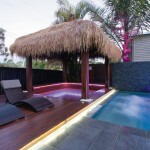 This was of great benefit to the owner as it enabled him to make necessary changes to the design. 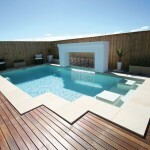 The 6.5m x 4m pool was constructed out of concrete and reinforced steel, with the interior, a crisp white, catching the sun in a dazzling array of light. 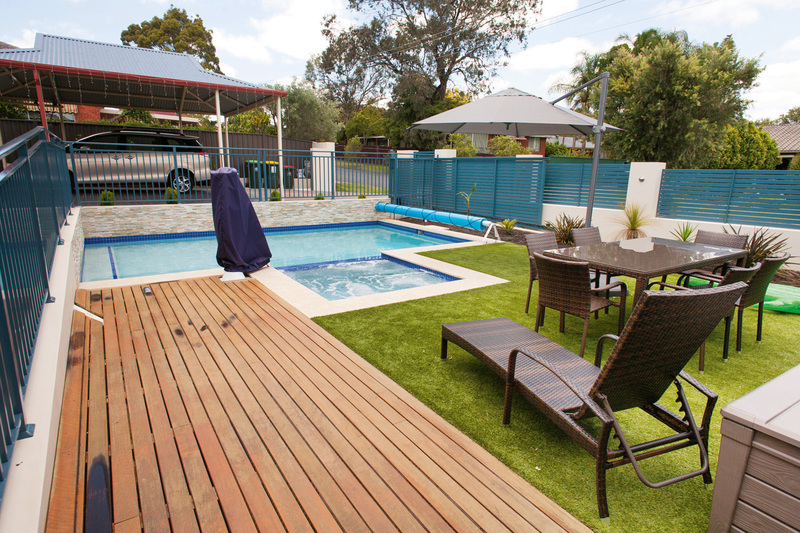 While the owner supplied the paving and coping, Jade Pools worked with what was provided for them to create this masterpiece. 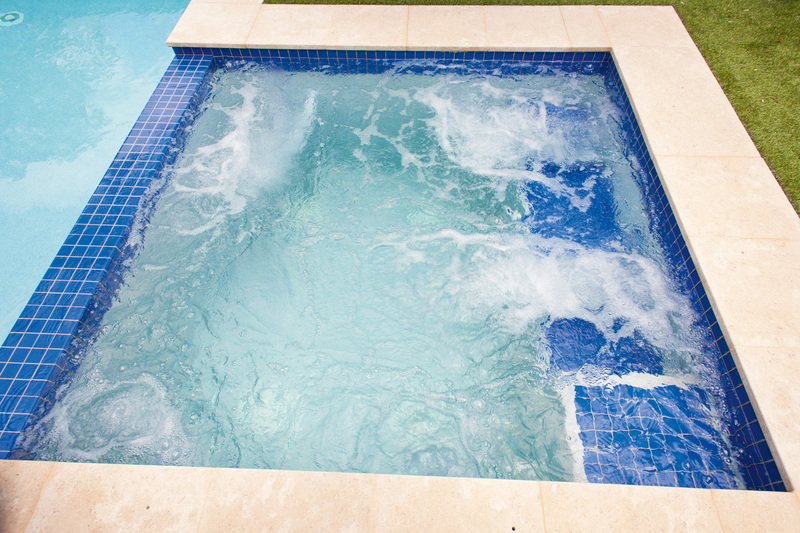 While the white interior presents a stunning spectacle during the day, the LED lights installed in the pool and spa make the area perfect for use during the night as well. 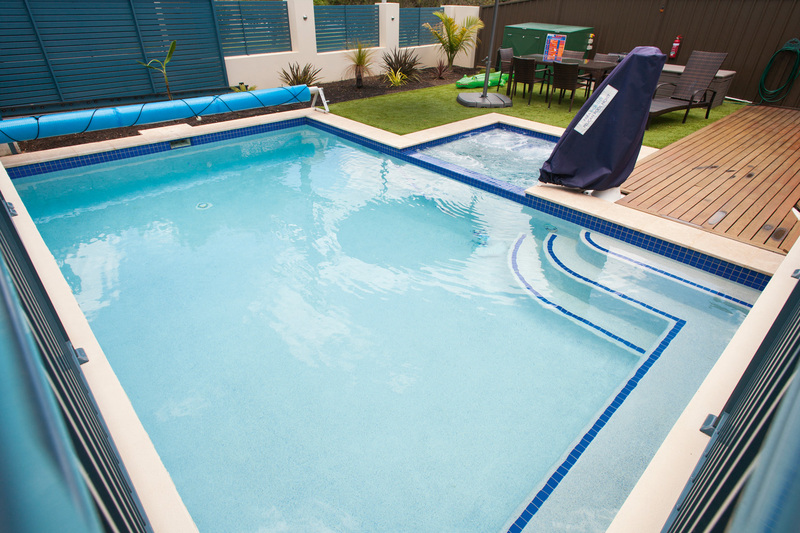 The filtration system includes a Davey Silensor pump, which is an excellent addition to any pool system that is located close to the house. 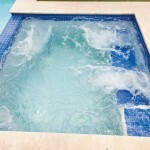 It enables you to have nice clean water with minimal noise. 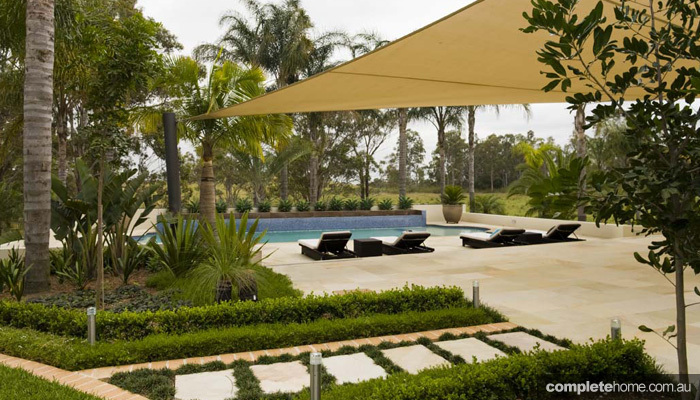 In constructing this magnificent pool, Jade Pools ensured it met all client requirements and worked to accomplish the project in the shortest possible time. 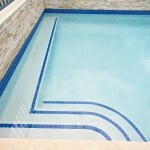 Jade Swimming Pools was established in 1975 by John and Helen Daniel. 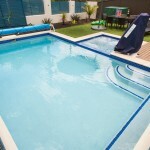 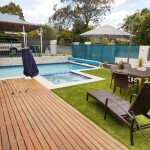 The company specialises in residential family pools and builds between 50 and 60 pools a year. 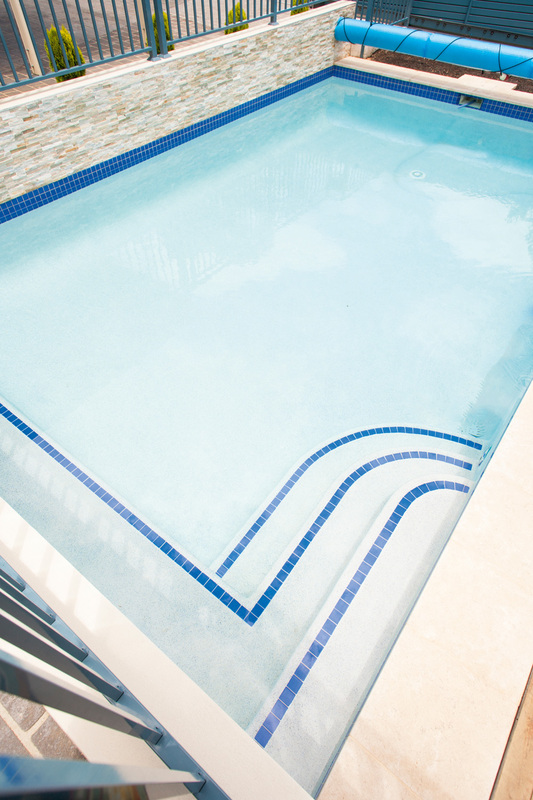 Long-time members of SPASA, MBA and HIA, the company has been acknowledged for its excellent work with several SPASA awards over the years, including four gold, two silver and one bronze in 2013; one silver for the metropolitan lap pool category at the 2012 SPASA awards; and two golds at the 2011 SPASA awards. 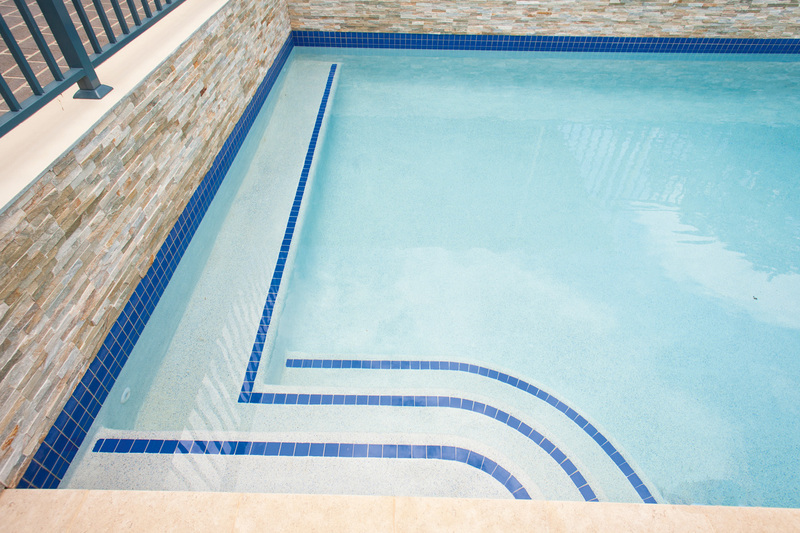 The team designs and builds family pools for recreation and entertainment, but will happily work in conjunction with the client’s landscape architects so the process from initial concept to completion is completely smooth. 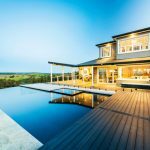 As a testament to its success, the company is kept busy throughout the year due to repeat business and word-of-mouth referrals.